Making your kitchen look the best requires you to be attentive to details and know at least a basic of home arrangements. Renovating your kitchen does not really have to be done by a professional. You can do it yourself or with your family. This can be a reason for the family to bond together making things around the house better – literally better. In all or any renovating plans, the first thing that has to be considered is the spaces to be used up and the second thing is the free spaces to be left out to make room to move around easily and comfortably. Below are more tips that you may need to be aware of before starting out your renovation activity. Spaces are most important. They are what make the place look cluttered or free of clutter. Having enough space to put things needed in place may sometimes be a challenging task to decide on especially if you have a small kitchen. In cases of small kitchens, it is better to have a pantry set up than have cabinets all over the place. You may also want to move some kitchen wares to the dining area where they can be visible and act as displays rather than stock them up in cabinets. 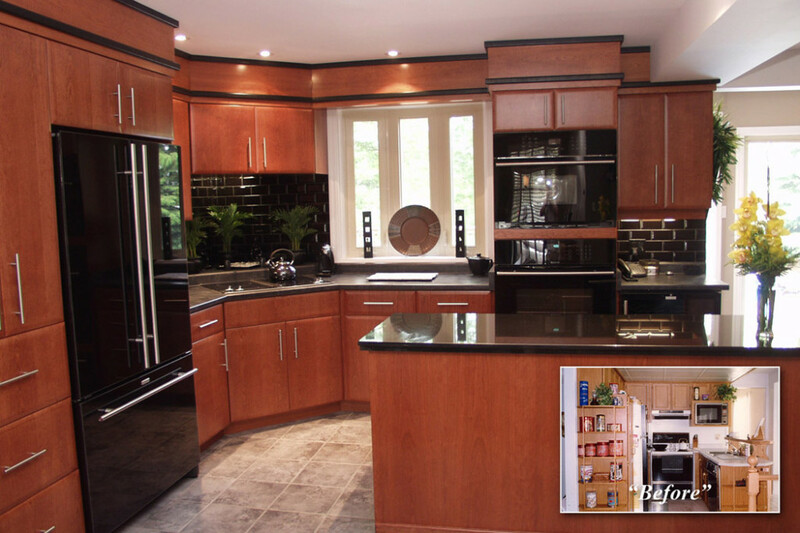 Make sure you remove extra cabinets or any cabinet that you do not really need in the kitchen to free up space. In larger kitchens, cabinets are okay as long as they are not cluttered, too. Smaller kitchens may use built-in cabinets to serve the purpose without eating too much space. It will make the kitchen look neat, too. Consider your appliances. How big or small are your appliances? Do they fit the area where you have them installed at the moment or are they too small or too large for that spot? Make sure to find a place that better suits their sizes. This will make it more convenient for you as well because you may be able to use one space for two other appliances if you remove that one appliance that does not really fit in there. In other words, renovating your kitchen also requires that you rearrange things to make them all look better and be where they are fitted in. Your kitchen should be a safe place to move around in. Make sure that entrances do not have obstacles for easier access to what you need to do or what you need to get. Utensils should be in place for convenience when you want to use them. The decorations or color of paint you use should be one that matches the overall design of the kitchen. If you need to change panels or doors on your old cabinet, do so. You can use tiles or wallpapers as needed. But painting the kitchen may come easier as you only need paint and paintbrushes to accomplish this. Also consider how the kitchen and dining area are situated. It is good to have the kitchen face the dining area. In that case, when you cook or anyone who cooks in your kitchen can still interact with people at the dining room. This makes your guests and family members feel welcomed and honored in your kitchen. Kitchen renovation does not have to be something too hard to do or too expensive to accomplish. Before you proceed to getting all the tips and ideas you can find from books and the internet on how to renovate your kitchen, take a moment to think of what ambiance you want it to have. Think of how much you will and can spend. Overspending can hurt your budget and may not even be necessary when you plan ahead and with real caution and consideration.